The fourth strategy in our Seven Strategies for Flex Success - creating your own personal brand - involves harnessing your self-esteem and marketing yourself to make sure others perceive you the way you want to be perceived. 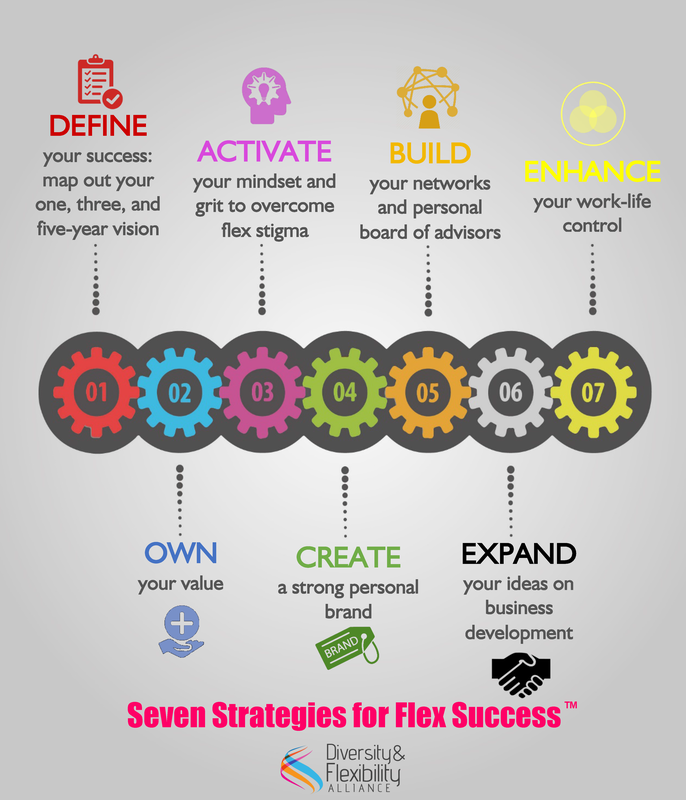 This is the fourth in a series of seven blog posts featuring advice on our Seven Strategies for Flex Success®. To learn more, register for our 2019 Flex Success® Institute, a five-part virtual professional development program for professionals working a flexible schedule. In Step Two of our Seven Strategies for Flex Success® you worked on Owning Your Value. You identified what makes you unique and what only you can bring to the table. Knowing what makes you special gives you confidence and self-esteem. The fourth strategy revolves around harnessing this self-esteem and creating your personal brand. Just as a corporation would market a product, you need to market yourself to make sure others perceive you the way you want to be perceived. There is power in perception. As a professional working a flexible schedule, it’s particularly important to control how others see you to counteract flex stigma that others in your office may harbor. Make sure that you are speaking positively about your schedule and your work. Remember that how you talk about yourself drives how others are talking about you. Ask for feedback about how people perceive you. In particular, ask your mentor or sponsor if others have a positive perception of you and your work and how you can improve your image. Your career trajectory not only depends on the quality of your work but also your reputation as someone who is serious about your own success and the success of the organization. Want to learn more about creating a strong personal brand? Register today for our Flex Success® Institute and you’ll participate in five virtual, interactive webinars, as well as one private coaching session with Alliance CEO Manar Morales to specifically address your unique challenges.